In 1980 Dave Andrews (above, left), one of the owners of the Moss Beach Distillery, stood behind the bar of his restaurant overlooking the Fitzgerald Marine Reserve and told me about the roadhouse’s past. The interview with Andrews was for “The Mystery of Half Moon Bay”. 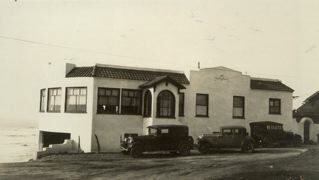 The Distillery was built in 1928 by Frank Torres, built originally, we think, as a residence, eventually a booming restaurant and bar. There was a garage underneath that was used during Prohibition. 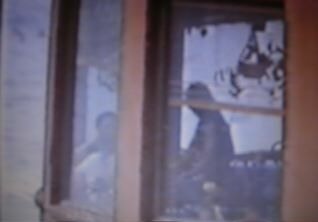 Officials came from San Francisco and people who didn’t want to be seen in a bootleg restaurant. They would drive into the restaurant and then come up the back stairs. We supposed it was used as a bordello. Of course, who knows what was going on. This bay called Seal Cove was used quite actively during Prohibition. Boats from Canada would arrive outside and drop the booze off the side and float into the channel. There was a lookout on the hill to signal the boats. The signal warned whether there were any federal people here. The Distillery was used as a hangout for a lot of movie stars, silent film stars that would come down from the City, such as Fatty Arbuckle. A lot of city officials from San Francisco would come down. (David mentions that there were houses overlooking the ocean, houses that were part of the bordello and burned in the 1930s and 40s). Story goes there was a triangle going on between the piano player and the jealous husband and so-called Lady in Blue was here in the evenings. Somehow a fight started between them. We think the murder [of the Lady in Blue] was a stabbing on the beach. The Lady in Blue returned to the restaurant and she’s been here ever since, quite active late at night, moving chairs and walking around the place, slamming doors whenever she feels like she needs attention. There’s a second story that the so-called “Blue Lady” was involved with silent film star Fatty Arbuckle. I, myself, have heard her but never seen her. Our maintenance man [who lives on the property] wakes up feeling somebody in the room, gets the feeling somebody’s always looking, staring at you and so when you wake up and there’s nobody there. You hear noise and the chairs moving, tables moving and somebody in high heels walking across the floor. I had people stay here that have heard the piano playing but there’s nobody here. And the piano’s been gone for several years. One of our cocktail waitresses had her five-year-old daughter in the building. We were closing and the waitress and the bartender were talking to a couple of other people. The child came wandering in here, into the dining room and then she came running out screaming and saying, “There’s somebody in there. There’s a lady in blue. Everybody walked back into the dining room and nobody was there. But the child obviously saw her. 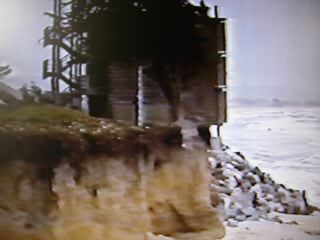 Geologist Ken LaJoie, the cameraman and I were standing on the cliffs near Surferâs Beach in 1980. 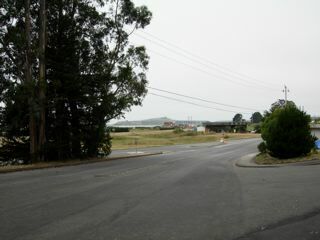 Surferâs Beach is located across Highway 1 from El Granada, the town founded by the Ocean Shore Railroad. I was interviewing Lajoie as we shot footage for âThe Mystery of Half Moon Bayâ?. 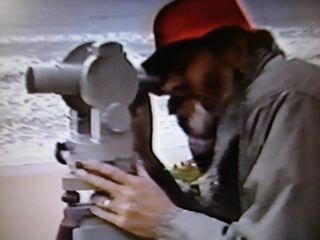 Ken worked for the USGS in Menlo Park and had been measuring cliff erosion on the Coastside for years. These are his comments more than 20 years agoâit would be fascinating to hear what an expert says todayâsince 1980 there has been a lot of work done in and around the breakwater. âHalf Moon Bay is a unique geographical formation where the potential for erosion is very high due to soft material exposed in sea cliff. âNatural erosion is due to dynamic equilibrium.. After the breakwater was built that very delicate dynamic equilibrium was upset. The waves were refocused on the south side of the breakwater. 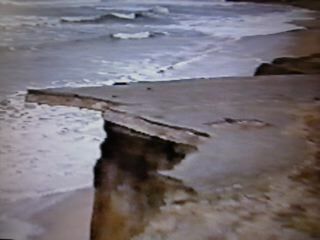 âThe sand that was supplied by the cliff erosion north of the breakwater was denied to the beaches to the south. 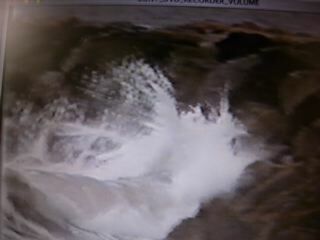 âTwo factors together caused accelerated erosion rate south of the breakwater. Rate cliff is receding between 1957 when breakwater was built and 1971. The highest rates were in order of eight feet per year. From 1971 to present highest rate we measured are around 12 feet were year. As rate continue to erode in area south of the breakwater eventually theyâll be into the highway. âThe erosion will jeopardize the highway. âNow either the cliff is cemented up or a series of jetties (or groins) will have to be built. No matter what the solution it will probably be a temporary solution. Whatever method used to arrest erosion south of the breakwater itself will refocus the erosion farther south and even today concern that depletion of sand in this region will eventually affect the beaches to the south and that this depletion of sand as it progresses will affect the state beaches, Dunes Beach to the south. âWhen the breakwater was built, the Corps of Engineers recognized that there would be a slight increase in erosion south of the breakwater. Small amount of rip rap was placed south of the breakwater to prevent a rapid rate of erosion in that area. âWe can see from where the rip rap is today that it didnât stop the erosion. âThe photos we took in 1971 show large masses of rip rap which is nothing more than large boulders, large pieces of cement. âIn many instances, here in Half Moon Bay, car bodies placed were placed at the baes of the cliff to try to slow the erosion down. âIn 1971 this rip rap was at the base of the cliff and we can see today that itâs sitting out in the middle of the beach. Very ineffective. âThe waves have attacked the cliff and theyâve eroded back at least 80-100 feet beyond the rip rapâ¦â? 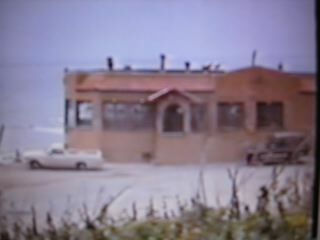 When I started blogging for the “Half Moon Bay Memories” & El Granada Observer”, I wanted to put all of the writing and research I had done on the Coastside out there. My work goes back to the 1970s, when I arrived. I feel really good being able to do this, to share the stories. Some of my readers were here in the 1970s, and much earlier, and they understand, because they were here, what a unique place the Coastside was then–some may say it was more “bohemian”, others may describe the Coastside as having been “wide open”. The Coastside was certainly an isolated rural landscape filled with fiction book-size characters who just wanted to be themselves–without restraint. What I’m saying is that the Coastside today, unique in its own way, should not be confused with the writing I do about the 1970s and 80s. Beneath The Tarp: “Save The Strip”? Oh, Lordy! Is the “Build-Up-The-Strip” plan back….? Just imagine, passenger and commuter cars and work trucks on Highway 1, some of them veering off an already busy, clogged road to build a strip mall? Is this a vision for the Coastside’s future? 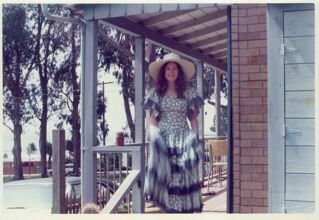 In 1980 I interviewed Moss Beach psychiatrist Dr. Dorothy Zietz for “The Mystery of Half Moon Bay”. Her office was located in her home, a modern redwood house overlooking the sea. Dr. Zietz arrived on the Coastside in 1959 and when I met her 20 years later, she said not much had changed.The Coastside was still relatively isolated, with many reminders of its rural past. 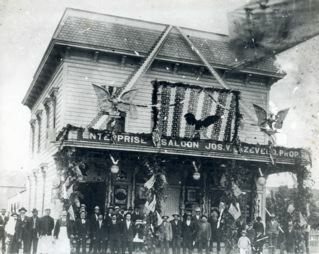 The passage of Proposition 20 had limited development in the old Ocean Shore Railroad towns. Most important, Dr. Zietz told me that the people hadn’t changed either. They were still “Coastsiders” as they once were. “There’s no government here, no sense of community,” Dr. Zietz said. “No sense of neighborhood…Each small community is autonomous onto itself,” Dr. Zietz said, not complaining. In Dr. Zietz’s opinion, a society showed true maturity when the people could live without structure. I don’t understand this story: tell me more about the shuttle. Is it crossing Devil’s Slide? 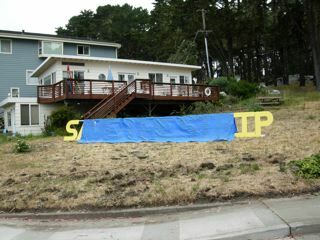 Going from Montara directly to Pacifica? Will we be able to see what construction crews are doing? Can we keep our cars on the Pacifica side and get a free ride over the Slide to Half Moon Bay? What will the shuttle look like? Air conditioned for those hot summer days? Who are the drivers? Will you be hiring local drivers? In the story, we are referred to a phone number that belongs to someone who does not live on the Coastside. Why is that? Wouldn’t Coastsiders be better served by someone who lives here and knows our problems? Relief by way of shuttle is coming to San Mateo County coastal residents burdened by ongoing traffic snarls caused by the closure of state Highway 1 in April. San Mateo County officials approved the use of $160,000 in emergency funds to help develop an emergency shuttle service for coastal residents. State Highway 1 between Pacifica and Montara was closed April 2, after heavy rains caused a landslide that compromised the thoroughfare. ‘This shuttle service will enable commuters and students to travel to and from the coastside comunities that are both north and south of the Devil’s Slide closure,’ Pacifica Councilman Jim Vreeland said in a statement. Parking Company of America will provide the shuttle service, and the Peninsula Traffic Congestion Relief Alliance and SamTrans will develop the shuttle route and schedule, whic is expected to begin in July. ‘While the shuttle service won’t alleviate much of the travel time needed for their commute, it will take some cars off the road and allow these residents to sit back and relax,’ Half Moon Bay Vice Mayor Naomi Patridge said. Funding for the shuttle service will be provided through September, at which time the closed section of the highway is expected to open. âOne night they had some kind of convention or big picnic down near Granadaâanyway, the train was heading back to the City with a whole bunch of people on it. 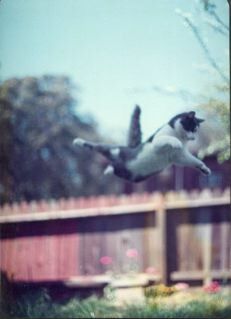 âAnd around Pt. Rockaway, a big boulder came down. Right on the tracks. The train saw it and they stopped but they couldnât get the boulder off the tracks. 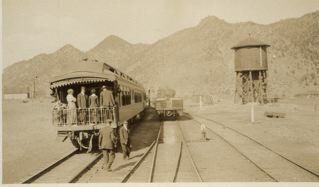 âThe train crew decided to back the train to the Pedro Valley. And they backed it down there right in front of Danmanâs Placeâthe old saloon there. They spent the night in there. Eatinâ, drinkinâ, making merry. 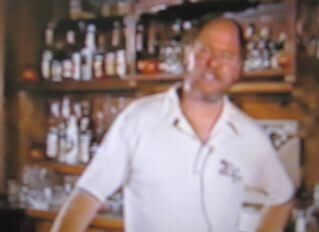 âI understand they practically cleaned the place out as far as booze and grub went. âRelatives and friends were disturbed when the train never showed up in San Francisco. They sent a work train down, got the boulder off the track, got the train back to the city. It was 18 hours late, I guess it was a big deal. ââ¦Tunitas was the end of the line and there wasnât much of a station there. [referring to the railroad ride] âThose 20 miles there was hell on earth if you know what I mean. I mean it was really rough going. Anybody riding on it today would say, âNever againâ. They probably never wanted to do it a second time. ââ¦the old county road, as far as going along the oceanâit didnât even exist in those days. It was all in back of the hills, sort of sandwiched in between the mountains and the skyline. It wound and twisted, a narrow road with hardly a straight stretch in it. 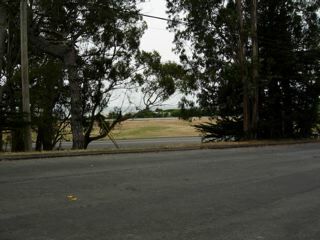 âThe railroad took up the entire area all the way from Westlake clear to Sharp Park. When they did put the highway in about 1934, they took over the entire railroad right-of-way in order to bring it to the edge of the cliffs. When you got down into Montara you were out of the cliff areas. âIn my opinion, it was a pretty lousy road, frankly. It would never do for these high speed cars today. Definitely not a road for high speed.â?